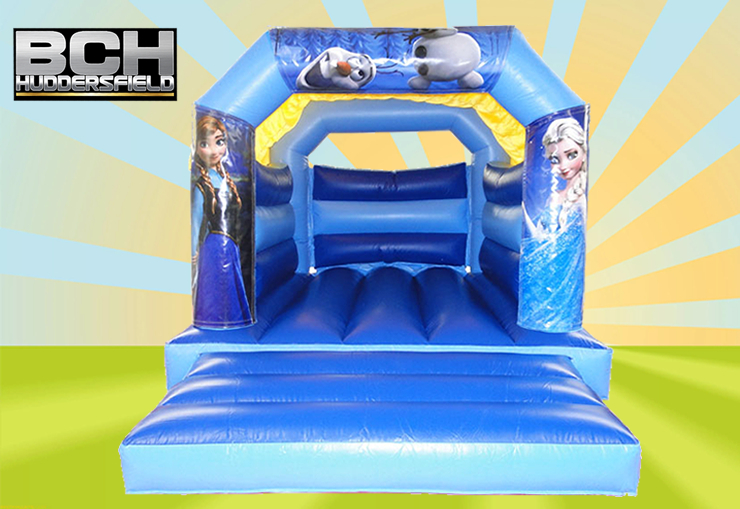 This Frozen Bouncy Castle is a new addition to our themed bouncy castle collection. Due to its low roof, it can be used as an indoor castle, as well as outdoors. This will fit in any indoor venue with a ceiling height no less than 9 foot 4 in height. Free delivery available for this unit throughout Huddersfield. A great choice for any children's fancy dress or princess party. The bouncy castle blowers plug directly into a standard electric power supply. We usually use an extension cable to take power from the house or any outside outlets, as long as they are less than 50m away from the caste. If the nearest power supply is over 50m away, you will need to hire a generator or petrol blower. If you have any questions regarding this, don't hesitate to give us a call or send us an email. You can also check out this page to see our list of generators and petrol blowers, and add these on to the order if you require. If it starts raining once the castle has been set up, please make sure to cover the electric sockets with plastic bags and leave the castle inflated. 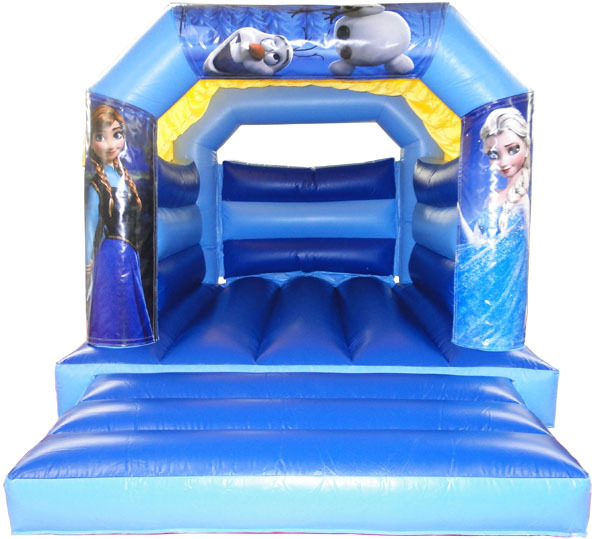 This will allow water to run off easier, and prevent the inflatable from becoming waterlogged. Once the rain has stopped the castle should dry fairly quickly, but please make sure to wipe off any surface water with an old towel, and take care as bouncy castles can be very slippery when wet. Delivery and set up is free throughout Huddersfield and parts of Wakefield. Once the Castle has been set up, we won't stay around to man the unit. We will come for collection at the end of the hire, to take away the castle. Please note, the same driver will deliver and collect each castle. Cash should be paid to the driver on delivery.